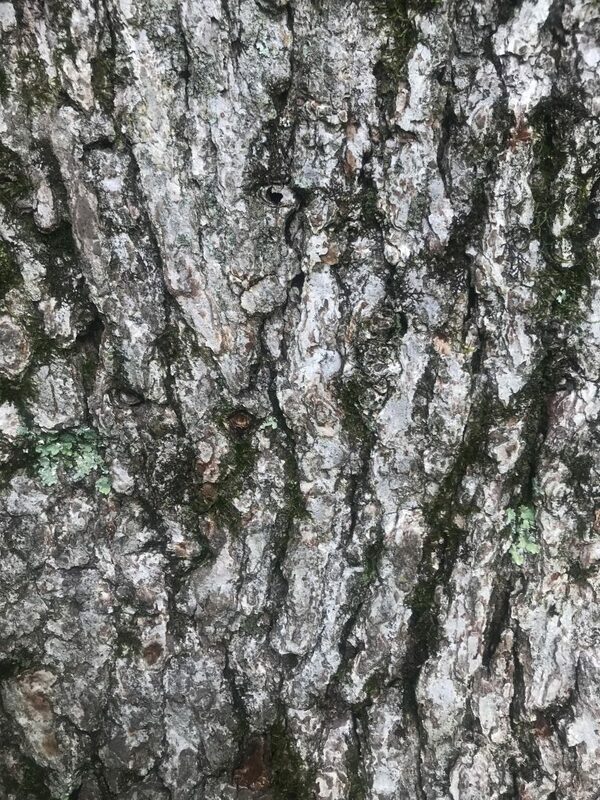 Below are pictures of several oak trees who’s species was in question. 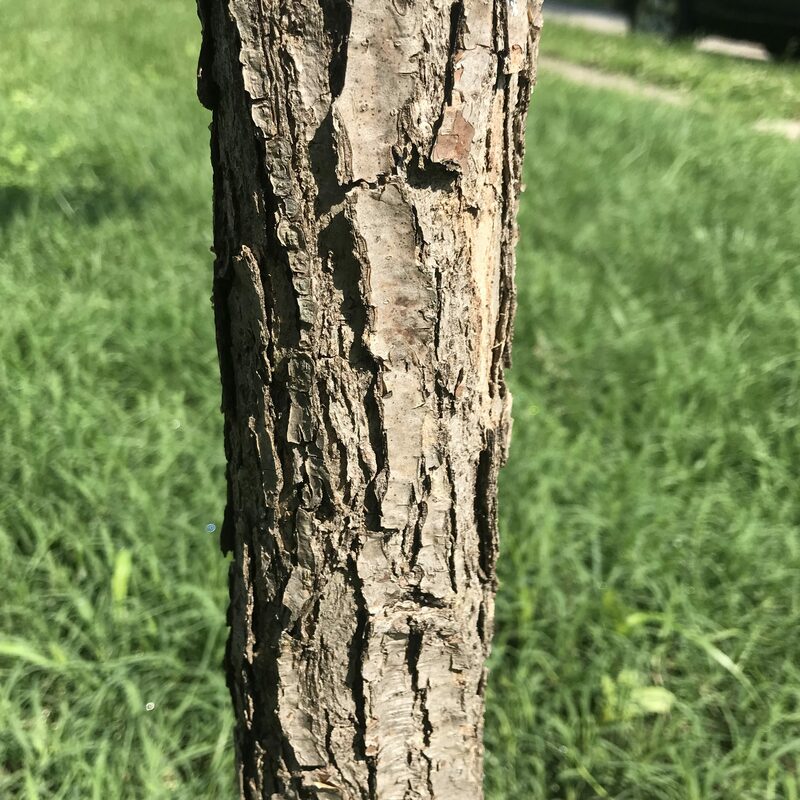 We sought the opinion of several botanical authorities on the Genus and Species of these trees. Images and cuttings were circulated. 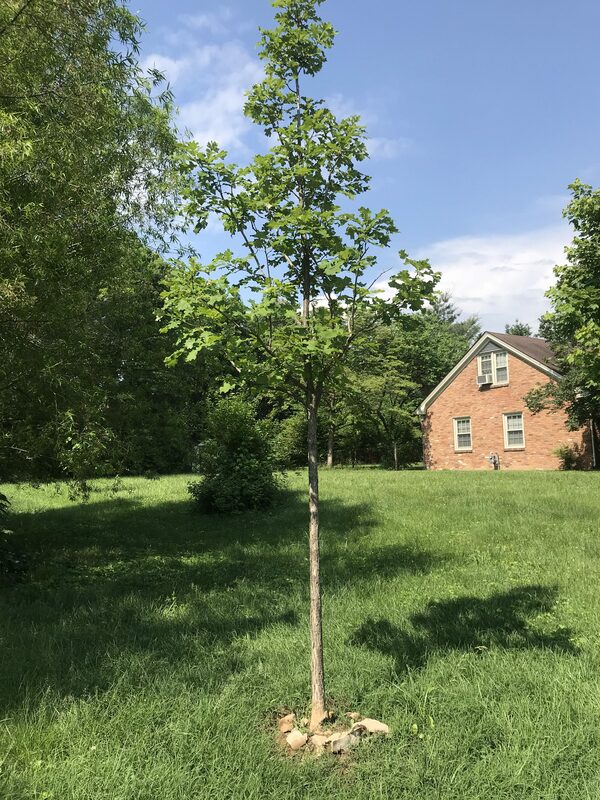 They can be seen on public property at 512 Southbend Drive and 566 Lone Oak Drive in Lexington, KY. Here is a summary of comments received. Click on images for full resolution view. 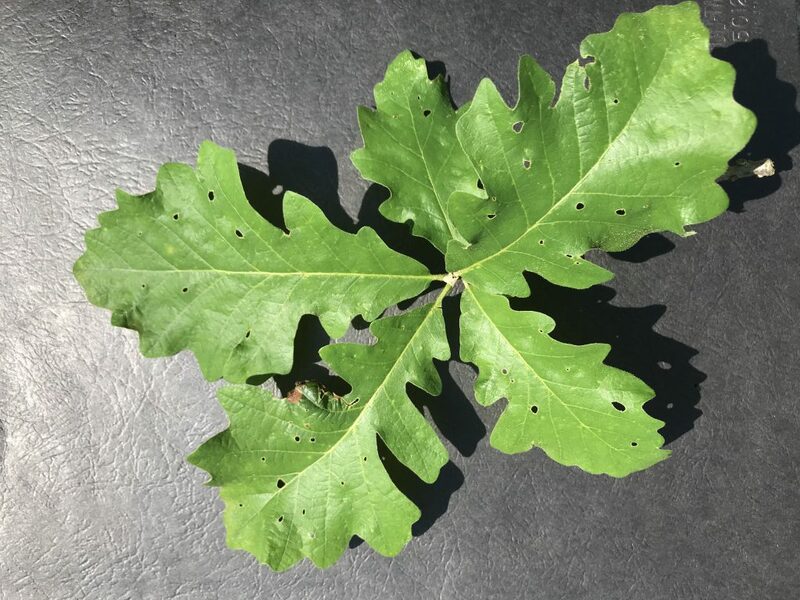 Julian Campbell: comments: they are bur oak but distinct from Kentucky native trees. Sample 02 512 Southbend Drive, Lexington KY, Front of lot. 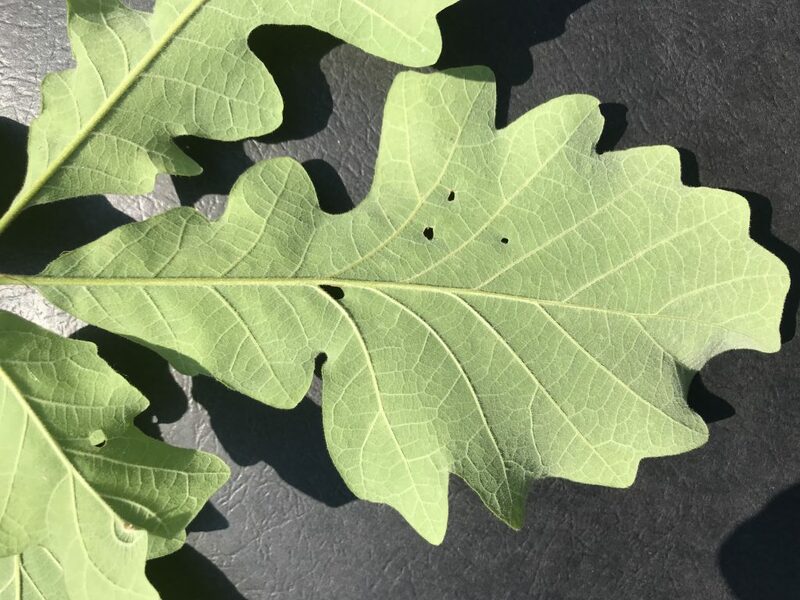 they are bur oak but distinct from Kentucky native trees. sample 04 = Quercus bicolor. 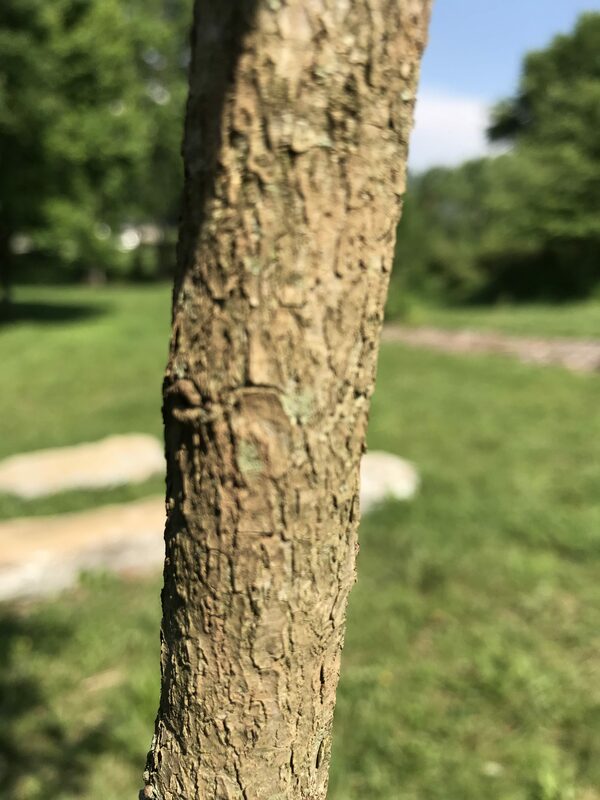 Q. bicolor is sometimes difficult to tell from Q. macrocarpa without fruit, but the bark of those two is a definitive character for separating them in the field, even when the trees are young. Brad Ruhfel, Eastern KY University Herbarium. 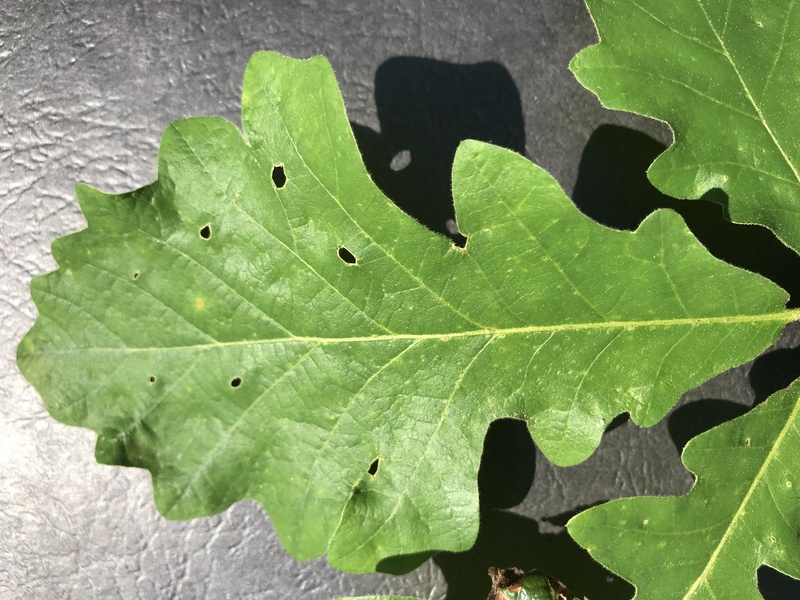 Without seeing the acorns and buds, it is difficult to be definitive, but I think they are all the same species, bur oak or Quercus macrocarpa (Fagaceae). Wouldn’t it be easier if there were acorns? Hah! 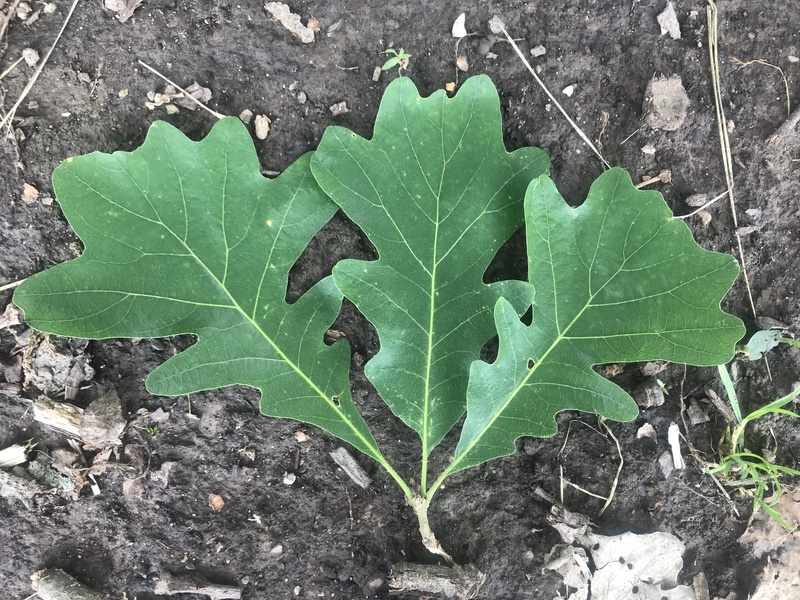 These look like Swamp White Oak and Bur Oak and maybe a combination of both. 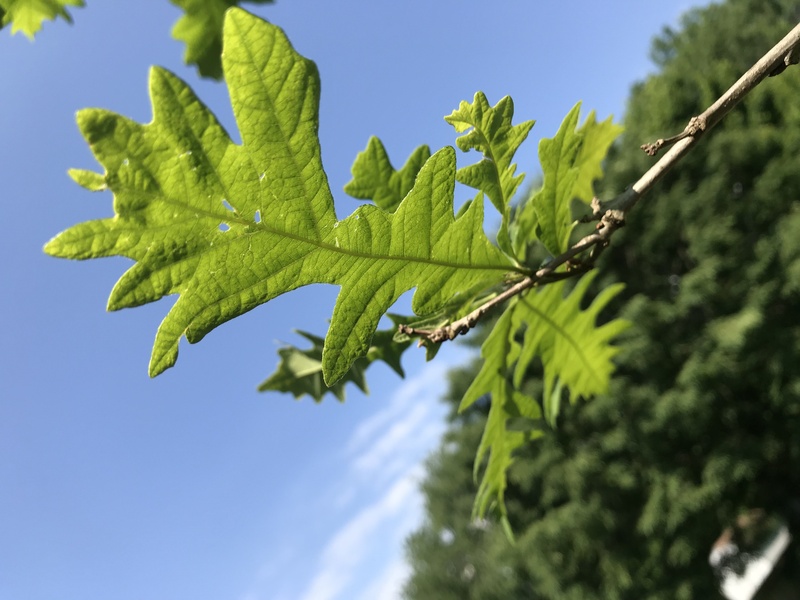 Sample 1 looks like an oak hybrid- one of the parents is chinkapin oak Quercus muhlenbergii. Numerous shallow lobes that are glad-tipped, but more pronounced than pure chinkapin oak. 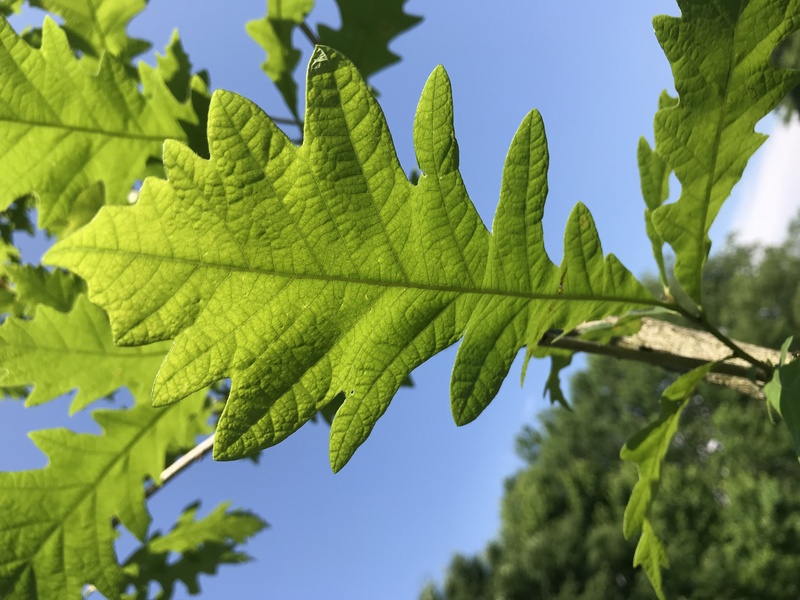 Other parent could be white oak Quercus alba. Not sure. 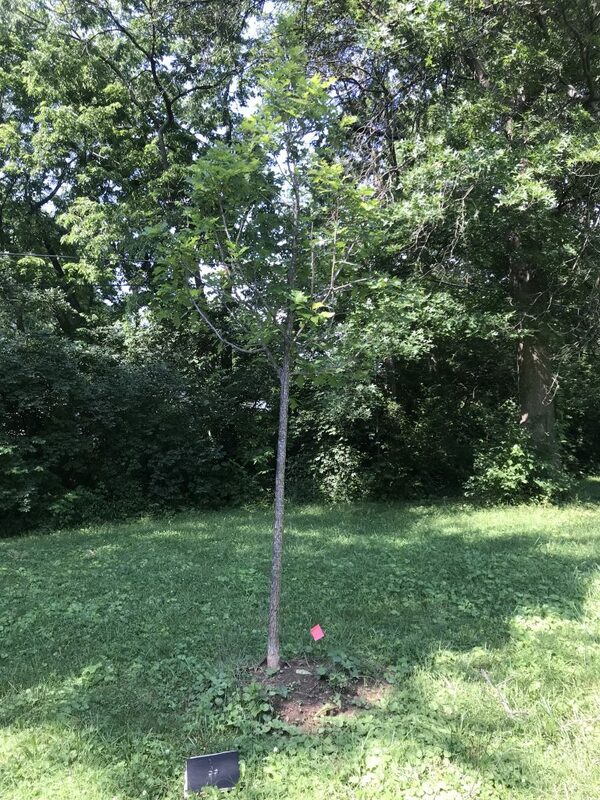 Sample 2 is bur oak Quercus macrocarpa. 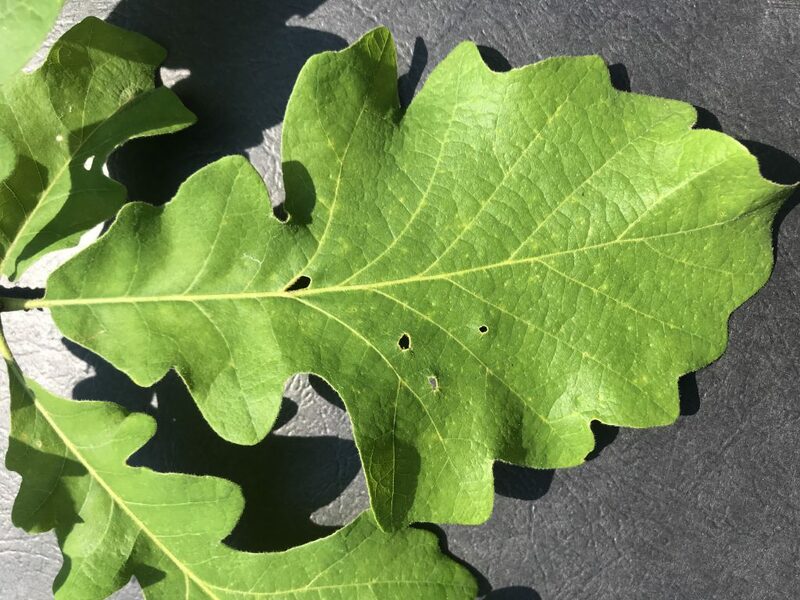 May have another species’ genes in it, but predominantly bur oak. Twigs hairy- swamp white oak has smooth twigs. 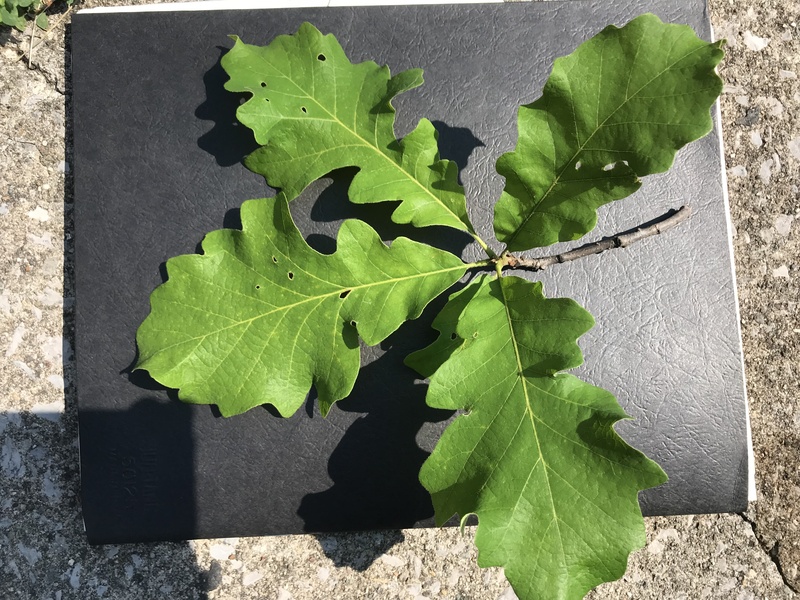 Sample 3- is bur oak Quercus macrocarpa. Pure & simple. 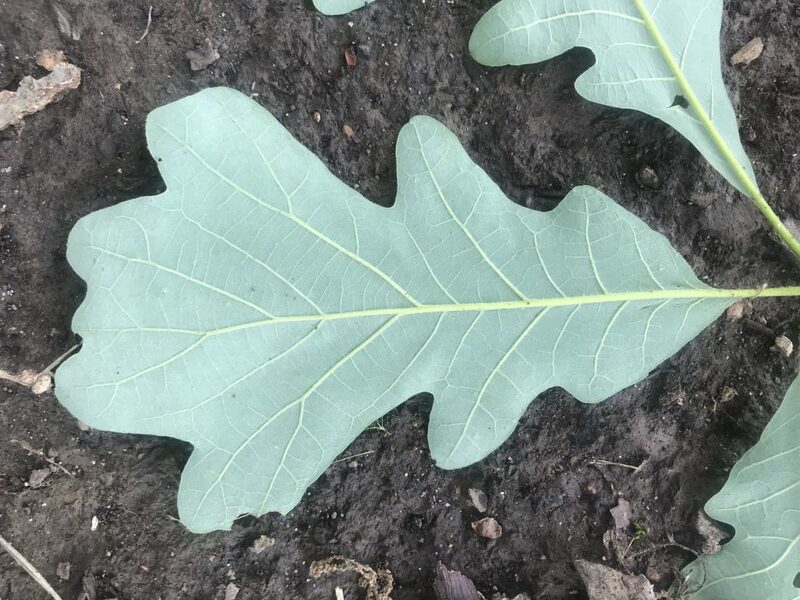 Sample 4- is also bur oak Quercus macrocarpa. 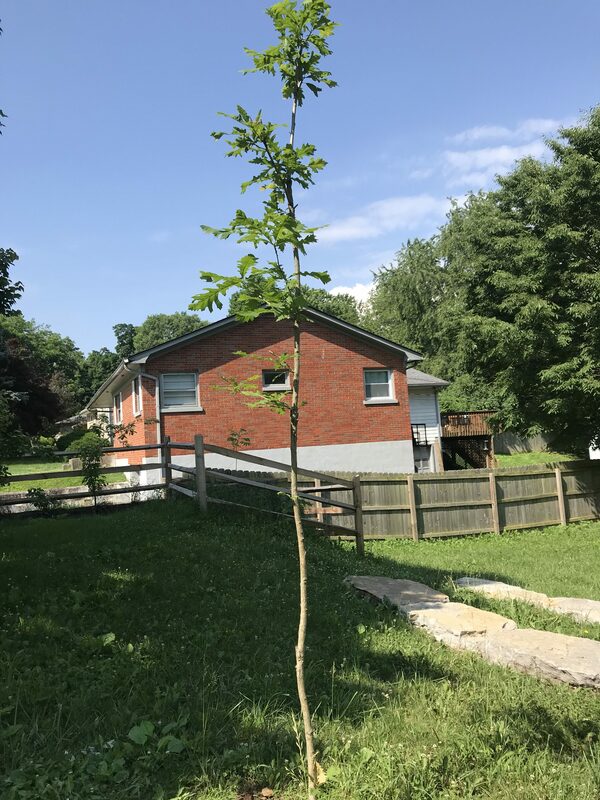 May have another species’ genes in it, but predominantly bur oak. Twigs hairy. 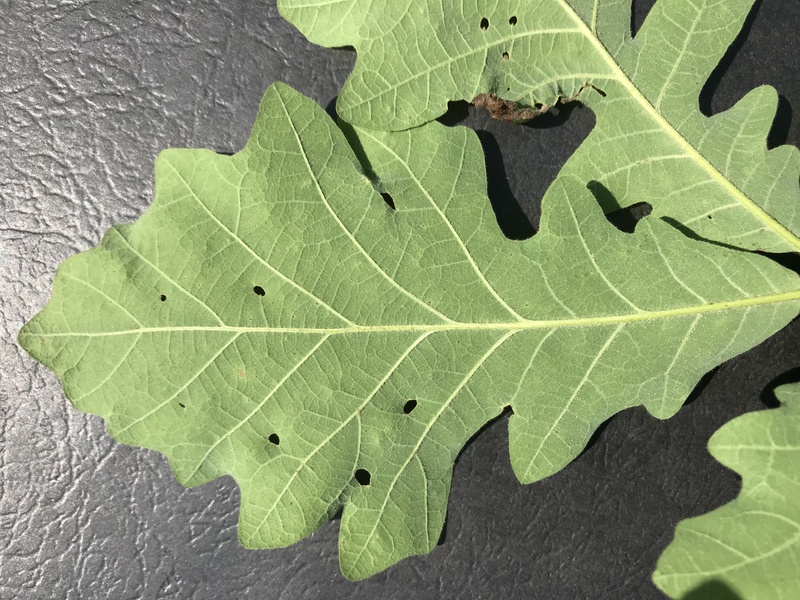 Leaves small for bur oak, but have characteristic deep middle sinus. Sample 04, 512 Southbend Rear of lot.